A recent IDG survey of 600 IT buyers discovered that they're only finding content relevant to their needs and their stage in the buying cycle only 42% of the time. Let me say it again >> only 42% of the time! You know what happens when they don't find what they need, right? They leave. They go elsewhere and your company is eliminated from consideration. And, although this survey was conducted with IT buyers, it's my hunch that it pretty much sums up the state of marketing content for the complex sale. There are multiple people involved in a complex sale. Each with a different perspective and investment in project outcomes. Buyers have different content needs at different times. For example, the research found that buyers in early stages preferred documents like articles and white papers, but wanted webcasts in mid-stages. Demos, documents and tutorials were most valuable at late stages and customer success stories and scenarios were important for a longer stretch of the buying process once the business case had been made. People learn in different ways and have preferences about how they consume their information. This is why podcasts, video and written content options can be a boon to increasing a buyer's perception of relevance. Peer reviews, recommendations and referrals carry weight. It's a trust and believability thing. Begin with customer stories and testimonials by people and companies like them/theirs. Here's something I found quite generous. IDG also learned in this research that buyers were willing to be incredibly nice about the content issue. All they wanted was to find that the majority (56%) of the content was relevant to them and they'd be satisfied. But, still they're being left disappointed. I wouldn't be that generous, so that's a gift. But, I'd also recommend you thank them kindly and aim higher. You know, like to 99.99% relevance. IDG found that this lack of relevancy perceived by buyers is responsible for reducing the vendor's chance of closing the sale by 45%. So, in case you thought buyers just wouldn't notice if your content was garbage, now would be the time to reconsider that stance. If you were waiting for proof that a content strategy is important, here you go. It's past time to go find out how to meet and exceed the content expectations of your buyers, influencers, recommenders and champions and devise a plan for delivering content that suits the needs for each of them. Not just one round of content development, either. Business environments change, priorities get shuffled and innovation clips right along affecting how your solutions will deliver perceived business value to your customers. Be consistent about content delivery and keep it focused on the specific audience it's designed for. The days of one-size-fits-all content are over. Complex sales require multiple touch points. You need content for each one of them. Marketers who can serve up relevant, high-value content to the right audience in the right format at the right time have the opportunity to deliver more sales-ready opportunities to their sales teams. That sounds like a good way to start 2009 to me. What's your content relevance plan for next year? In the spirit of the season, I thought you might like a couple of great eBooks to set yourselves up for thinking about all the possibilities of the coming new year. Go download them, and have a very Happy Holiday! What's the ONE thing sellers should focus on in today's uncertain economy? Find out how 19 sales experts answered...Download the eBook now. 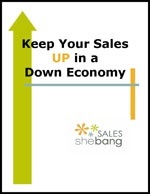 Oh, and while you're there, sign up for the Sales SheBang Newsletter. It comes out twice a month with expert insights sellers can put to use immediately. Use customer engagement to turn hard times to your advantage. 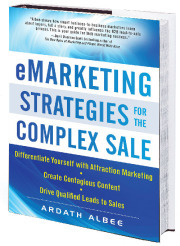 This eBook is one that all marketers will gain insights from. It's put out by cScape and the Customer Engagement Unit and also includes highlights from the 2008 Annual Online Customer Engagement Survey. during a downturn: Dialogue, not monologue is the true language of online business. Customer engagement is the best predictor of future success: Engagement is a relationship built on mutual benefit. Responses to economic downturns are not pre-determined: Research and test before you assume that customers will spend less online. "In 2009, marketers will step up to the plate to make sure the buyer is engaged from the beginning of their buying journey through to their purchase decision because that path will become as smooth as silk without a knotted mess at the hand off to sales." Stories are often thought of as customer testimonials, case studies or one-time events by marketing. In this new age of storytelling, marketing needs to consider stories as they apply to buyer scenarios and introduce an overarching story theme from lead generation through customer conversion. A marketing campaign story won’t be effective if it is disconnected from the company’s overall story. Stories are not just used in the way articles are written to inspire dialogue, but serve as the thread that pulls a buyer from interest through consideration to purchase. Using a story theme helps provide consistency and continuity in your marketing programs. Likewise, buyers don’t care if that (for you) their status changes when they begin to interact with your salespeople. They will, however, notice if the story they hear from sales doesn’t have the same resonance and quality as the one they’ve participated in with marketing. This means that instead of focusing only on how to create qualified opportunities marketing can handoff to sales, the story needs to reach farther through the pipeline to ensure the buyers’ engagement never wavers. The CMO Council is inviting you to participate in a short, online survey for marketing professionals as part of their Giving Customer Voice More Volume strategic research program. 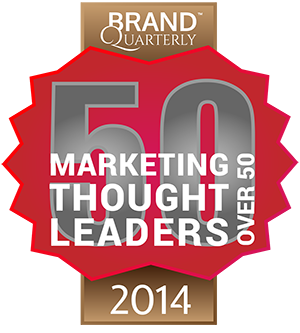 This research is an effort to benchmark how well brands listen and respond to customer input, concerns and issues. Feedback and engagement are critical to the success of marketing initiative and this survey examines the adoption and use of these systems by marketing executives and their companies. The overall program goals are to advocate for marketing’s ownership of the customer experience and evaluate the role of marketing executives in driving customer advocacy, satisfaction and loyalty. Information about the program is available on the CMO Council website. Anyone who participates in the survey will receive a complimentary copy of the research upon release. The sales and marketing disconnect is a subject that’s received a lot of press over the years. The gap is finally narrowing, but not quite enough. Marketing needs to take on sales as their customers and enable them to spend the majority of their time actually selling. In order to create sustainable growth and increase top-line revenues, salespeople need to increase the time they spend actually selling. Marketing needs to embrace sales enablement as an extension of their marketing strategy. This means that as they map their marketing content to buying stages and develop target segment personas and profiles, they need to step beyond the creation of marketing content to creating useful sales content. Marketing can facilitate how salespeople find the content and tools they need to prepare better for meetings, gain insight about their prospect’s businesses and industries and assemble slide decks that help prospects visualize how your company’s products will help them meet their strategic objectives. Heck, marketing is doing all this research and content development to create better engagement and relationships with prospects, so it shouldn’t be that great an extension to apply that knowledge to the creation of sales tools and conversational email scripts and collateral that helps salespeople extend the buyers’ journey with your company after the handoff. Otherwise, marketing is allowing their investment into prospect and sales opportunity development to go to waste if sales isn’t enabled to pick up the ball gracefully. By easing their salespeople’s ability to have better conversations because they can get up to speed on a prospect quickly and have the intelligence they need at their fingertips, marketing can have a huge impact on customer acquisition. Remove all the dead wood. 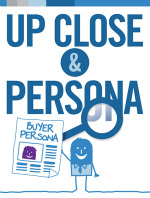 Track which content is used by salespeople with prospects who become customers. Enable salespeople to rate and comment on sales portal content. Then use their feedback to improve the content that’s not performing and create more of the good stuff that’s working. Organize your sales portal content by problem-to-solution scenarios, industries and target segment personas. Give your salespeople a snapshot view of what they need on one page, in a variety of contexts that work for their mindsets. Include marketing campaign content summaries to provide salespeople insight to what the prospects they’re calling have viewed. And, provide follow-on conversational gambits that allow salespeople to step into the conversation with relevance. If marketing puts sales enablement into their content strategy, they can do wonders for enabling salespeople as an extension of what they’re already doing. In order to be effective they’ll have to [GASP] work collaboratively with sales to hone and refine the process over time. What difference would it make if your salespeople were spending at least 35—45% of their time selling? How about 50%? Imagine how much the alignment between sales and marketing will improve if marketing is actually enabling sales to sell more. Not to mention the increase in customer acquisition for your company. That ought to give marketing something to measure to validate their efforts! With content marketing and custom publishing at the fore for marketing in 2009, unless marketers can perfect their ability to really listen and understand their customer’s and prospect’s needs, perspectives, objectives and uncertainties, the marketing content they develop won’t connect. Listening is a specialty companies have allowed to languish as they continued to push their messages at prospective buyers with one goal in mind – to make the sale. Not that sales shouldn’t be an eventual goal for b2b marketing, but for heaven’s sake, you’ve got to build a relationship and garner some trust and credibility before you can persuade anyone to do anything. The reason companies have such a wide gap between raving fans and elusive buyers is because they not only haven’t learned to listen well, it’s that when they try to listen they make the activity a one-way street. It’s not enough to listen, you have to take actions that show the people you actually understood what they said. You’ve got to be able to put yourself in their shoes and respond appropriately. I’m only going to say this once. Listening is Not About YOU. We’ve all been in conversations where it’s obvious the person who’s supposed to be listening is already formulating their response and, thus, has stopped listening for underlying meaning. This type of experience doesn’t deliver appropriate validation to the person speaking. Many companies track and follow what’s being said about their company with Google Alerts. Then they respond by trying to control the conversation, defend themselves to naysayers and pat themselves on the back when they hear kudos. We’ve all known people like this. We call them self-centered and try to avoid them. The value of whatever they contribute to the conversation is diminished because we know that what underlies their effort is based solely on self-interested gains. They’re surface listeners. Connecting with people in a way that builds engagement beyond momentary attention is critical for creating sustainable growth. People want you to help them solve their problems. Heck, they can buy something similar to your solution from numerous sources. So, give them a differentiating reason to buy from you by listening to what they’re saying and responding appropriately. Get beneath the surface words to the meaty meanings. Perspective about problems and objectives your prospects and customers are dealing with. Terminology used conversationally by different market and industry segments. What keeps your prospects and customers up at night. Communication efforts they don’t like. Clues that indicate the real root of a problem so you can solve them—instead of slapping band aids on surface issues. What your customers really value, which sometimes is the little stuff you think is unimportant. Don’t give in to knee-jerk reactions. Wait until you understand to respond. As you listen, think about how you can be helpful. Listen to a variety of channels and note similarities and differences that define them. When someone gives feedback, figure out a response that shows you’ve given their input care and consideration. Honesty and openness helps. Make a list of what you learn while listening. With these insights in mind, read your marketing content from the perspective you’re learning about and evaluate it for value and relevance. Look for keyword phrases for how people discuss their problems and priorities. Use them in your marketing content. This one goes to placing yourself within someone’s comfort zone. Talking above or beneath them won’t work. Read your customer’s blogs and your prospect’s blogs. Follow prospects and customers on Twitter. Monitor the Q&A on LinkedIn. All of these can be great sources of insights to help you personalize. Even better, read the comments and listen to what’s being said. Listening requires a clear intent to understand. Listening does not mean mining Google Alerts for places to go post a comment that’s out of context because you can’t be bothered to integrate yourself into the conversation. If you want your marketing initiatives to connect in 2009, you’ve got to be good at listening—before you market. My post on December 13th received a comment asking me for suggestions for how to make my Marketing Vision for 2009 happen. Thanks Susan! When I started to answer her, I realized I had a whole lot to say about how to accomplish all the great things I see ahead for marketing initiatives in 2009. This is the first of several posts that break out my vision for 2009. The others are about Listening, Sales Enablement, Storytelling, Marketing Automation, Social Networking and Measuring Value & ROI. Content Marketing and Custom Publishing in 2009 won’t be focused only on those you already know. The interactive component of content marketing coming to the fore means that content needs to be where the people you want to engage "hang out" online. Companies will also focus on designing their content to invite dialogue. This is where custom publishing comes in. As companies bring their own voice to the table, they’ll need a story strategy for achieving more “social” interactions. Marketers have to start thinking beyond the norm of blasting database lists. They need to not only respect their house lists, but they need to create content that’s got some juice to it. Dry, tasteless, thinly veiled sales pitches won’t cut it. Content marketing for the complex sale is about giving your audience (prospects and customers, influencers and recommenders, colleagues and peers, and yes, even your competitors) valuable ideas that help them do their jobs better. It’s about building relationships and impacting reputations—yours and theirs. For a long time, I’ve heard people say that the only emotion worth pursuing in B2B sales is trust. But there are a lot of emotional constraints that keep people from buying your complex products and service offerings, even if they trust you. Consider the Amplify Buyer’s Attention eBook I wrote a few months ago. Every one of the 7 Amplifiers is about how to structure content based on relieving an emotional constraint. Marketers need to learn to walk that fine line that allows them to interact on a “peer” level with their audience, but also become respected for the expertise they can provide. This feeds into the conversational aspect of interactions. Marketers will have to learn to talk with people, not at them. In fact, perhaps we should use the term people instead of prospects, buyers, or customers. The secret is in humanizing the exchanges we have. We won’t succeed unless we respect our audience as we expect them to engage with us. The purpose of content marketing in 2009 will be to pull prospects to you, not grab them out of the ether and add them to your lists so you can try to force consumption of your content. Focus on those who want to hear from you – those who are interested in what you have to say. Everyone with demographics that match who you sell to is not your customer. Getting the prospects who have potential to self-select as prospective buyers is the goal for new lead generation. That’s what I mean by pull. By publishing content that's relevant, people will choose to interact with you. They need the education your expertise provides to answer their highest priority issues. These are usually outside their core competence or they'd be solved already. Review your content and eliminate all self-serving terms and jargon. Develop content about industry trends, problems, challenges and opportunities your audience is interested in knowing more about. Make sure your content is focused on the audience’s perspective. Not your product offerings. Don’t try to write general content for everyone, because it‘ll be superficial and serve no one. It’s not about how many people you can reach with one message, it’s about the quality of the interactions you can develop with select audiences. You’re not giving a speech—you’re inviting dialogue. Personalization is about more than “Dear <first name>,” – the content has to actually be of interest to them. Do not post the same message repeatedly. Different mediums and audiences require a different context. That doesn't mean you have to start over, it means you need to consider the angle you choose to approach a topic based on the context of the channel. Share your ideas on related industry ezines, community websites and blogs. Focus on becoming a thought leader in your niche. This means open, transparent sharing of useful information. Revamp your website to make it interesting and valuable. Make it a resource destination your prospects and customers will revisit when they need to know more about a problem your company solves. This means adding fresh content regularly. Content marketing presents a wealth of opportunities to generate awareness and responses that develop into dialogues, and generate leads beyond reliance on download forms. Just keep your focus on the customer. 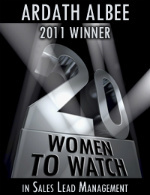 As we begin to wrap up 2008, it's prudent to start getting ready for your 2009 marketing resolutions and strategies. When you evaluate your e-marketing results for this past year, think about what you've learned and achieved, and what's needed to take things to a whole new level next year. Because, believe me, you can. There are more opportunities than you have even imagined. So start creating your marketing vision now. Right now. To get you started, I'll share mine. This is my vision for marketing in 2009. 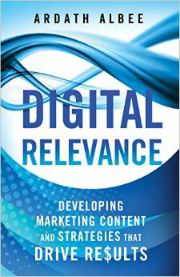 Next year is the year of interactive content marketing and custom publishing. It's the year that marketers will take on the digital environment with a flair for conversational interactions. Marketers will become expert listeners, delving into their clients problems, needs and challenges to ensure their content is designed to deliver more "what's in it for me" than ever before. Next year is the year that marketing will take proactive steps to power sales enablement. They'll no longer use sales portals as landfills for marketing collateral that doesn't help their sales force sell. In fact, marketing will take on helping to lower that ridiculous amount of time salespeople spend recreating marketing content into something they can use. In 2009, marketers will step up to the plate to make sure the buyer is engaged from the beginning of their buying journey through to their purchase decision because that path will become as smooth as silk without a knotted mess at the hand off to sales. Next year, marketing will really, really get to know their customers [yes, I'm repeating this because it's pivotal] and embrace the technology that will help them segment more personally and publish customer-focused content in real time. They'll track and they'll respond and they'll provide nothing but valuable, relevant and highly useful marketing content and social networking dialogue. In 2009, marketing will develop fresh techniques for measuring their initiatives and proving the hard value they add to the top line. They'll also develop indicators to show their companies how they're swinging the needle in ways that deliver more business value than their executive board ever gave them credit for in the past. That's my marketing vision for 2009. For those of you balking, all of this can be achieved. I say plan BIG or go home. Anything you'd like to add? Come on, reach for the stars! It's interesting to me how many companies cannot accurately articulate who the decision maker is for the purchase of their products. Of course, these are also usually the companies that have no universal definition of their ideal customer. Somewhere along the line, it became considered a necessity to target the highest-level person in the organization as a qualified lead. Then, of course, came the cry that these decision makers were too hard to reach and that building engagement with them was a challenge beyond their reach. On a recent project, the client insisted that the C-level contact was their decision maker and that was the person sales would consider qualified to exert time on converting. After exploratory calls were made to determine the owner of the projects that would utilize their products, that C-level contact was no where to be found. Almost all of the contacts who said they were the decision maker for that purchase were at least two levels down from the C-level contact the client had identified. They were pursuing the wrong prospect. Why, you ask? How could they've made that mistake and sworn they were right? Easily. They'd looked at their signed contracts. All their contracts had been signed by the C-level contact they'd identified because those are the people authorized to commit their companies to a six-figure spend for a complex purchase. They blessed the project and provided the ink to seal the deal. Sure, they had to be convinced the purchase was the best choice for their company, that the business value was there and that the alternatives wouldn't provide the outstanding results that this choice could. But that's an internal sale within the customer's company. The C-level contact had to be sold by the project stakeholders. They had no interest in—or time for—participating in nurturing programs or talking with sales people. That's what the project owners and other stakeholders needed to spend time vetting. It's fine to try and include these upper-tier people in your nurturing and outreach programs, but not at the expense of reaching the people actively involved in the project design, vendor evaluation and persuasion of the powers that be. The actual decision makers. In fact, trying to go around them can do more harm than good. Everyone has an ego to consider, after all. Not to mention the opportunities you can miss by pursuing the wrong prospects. Even more importantly, the marketing content and nurturing programs you use will need to tell a different story to each decision maker you endeavor to engage. I'd stipulate that there are multiple decision makers for a complex B2B sale. Each with a different stake in project outcomes. So, who's the decision maker for your product or service offering? Is it the person who inks the deal or someone else who's made the decision and has to convince that executive to sign on the dotted line? Oh, and don't forget to arm your decision maker with all the persuasive information they'll need to get that ink flowing!